Have you been struggling to get your serial device to work? This high-end driver will end your troubles and gets you your working device! No quick hacks, or security bypasses to get the driver operating. Download the free Serial Detect App to check if your device is supported. Time-saving hassle-free installation via package installer. No need to use the Terminal. Safe 30-day guarantee: If the device will not work after support, you get your money back. Works with macOS 10.12 and newer, including Mojave and High Sierra. Legacy drivers for OS X 10.11 (signed), 10.10/10.9 (signed), 10.8, 10.7, 10.6, 10.5 (PowerPC) are also available. I installed the driver and is working with my Replica Arduino's! Thanks Very Much! Did you know that USB to Serial adapters are also embedded in coffee machines, and routers? 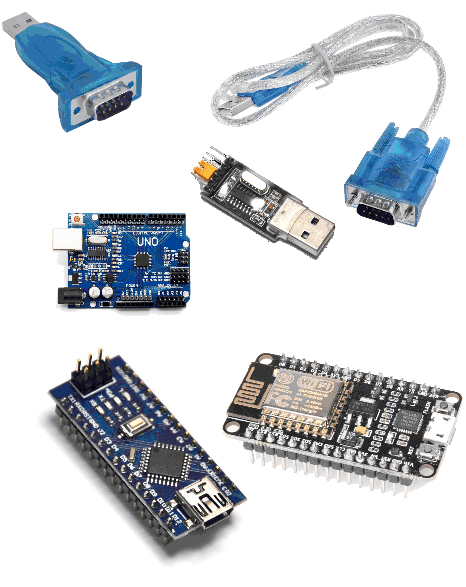 You will find USB to Serial chips in car tuning tools, routers, coffee machines, gps trackers, measurement tools, audio effects and so on. We preloaded our drivers with over 150 personalities to make your device plug'n'play. Still owning old equipment, working on 7-bit, having Cisco routers depending on the break-signal, or use the handshake lines to control some relays. Our drivers support it. I purchased your driver and I am happy to report that it solves both issues I saw with the other drivers. So, great job! Do other drivers get fan mail? Thanks. I love your driver software! The Prolific driver failed badly – I think it could not handle 7-bit data. I'm now happy. Thank you very much! The driver works like a charm! Works great under Parallels Windows 7 Virtual Machine. Now the USB device works perfectly! You have saved my weekend! I should have bought it earlier! This is awesome! I can finally program my ESP8266 NodeMCU. The installer is awesome and easy to use, thank you! w00t!!!! Thank you! It works and I can now configure my network device. Thank you! Started in 2006 as an open source project to enable Atmel AVR programming for OS X, helping thousands of users. We now offer well maintained drivers for the CP2102, CH341 and PL2303 chips. The drivers are built on years of driver programming experience and customer feedback. Instead of making you looking for tweaks and workarounds, it simply does the right thing. 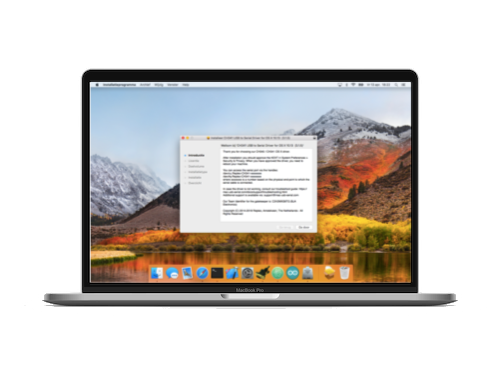 Long term continuity as our drivers are based on the newest IOUSBHost stack API's of macOS.